Interior Alaska is wild, scenic and accessible. Whether it’s the allure of sleeping under the stars or a place to park your RV for the night, private and public campgrounds can accommodate all kinds of outdoor enthusiasts. 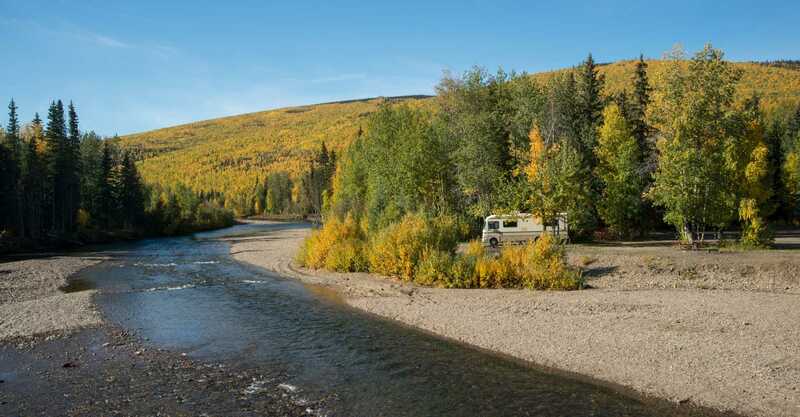 While options abound, one example is the Chena River State Recreation Area—a short drive from town with tent and RV campgrounds and road-accessible public use cabins. Farther south, the Tangle Lakes area on the Denali Highway rewards the traveler with outstanding scenery and good chances to view wildlife. This campground offers campsites, interpretive signs and access to many recreational opportunities. With bountiful freshwater rivers, streams and lakes, Interior Alaska provides ample opportunities for fishing enthusiasts either on guided tours or on your own. 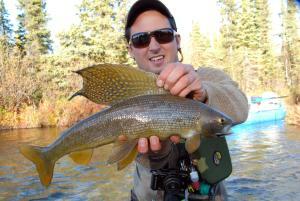 The Chena River is great for catching Arctic grayling and is easily accessible. The Richardson and Steese highways and nearby Chena Hot Springs Road offer a variety of ponds stocked with Arctic char and grayling, rainbow trout, and king and silver salmon in addition to natural stocks of northern pike and burbot. South Fairbanks offers Tanana Lakes Recreation Area and near the city of North Pole, you’ll find Chena Lake Recreation Area—both convenient places to wet your line, summer or winter. Many local lakes are great places for ice fishing and there are outfitters happy to take you to their favorite spot. Moose, caribou, brown and black bears and Dall sheep are among some of the animals that are hunted in Alaska’s Interior and far north. The rough terrain and unpredictable weather requires that people plan carefully for their hunting expeditions and bring quality gear that they are experienced in operating. Alaskan guides available to outfit and lead a hunt are recommended for remote hunts or for less-experienced hunters.